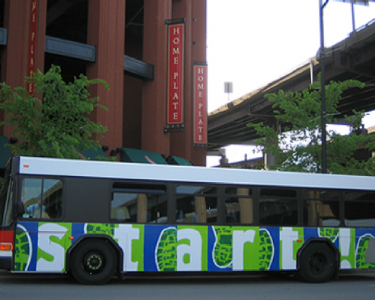 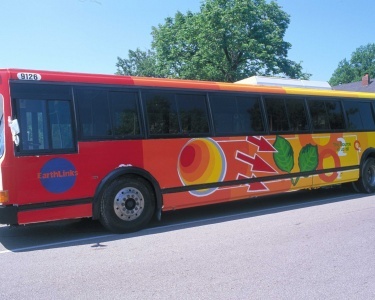 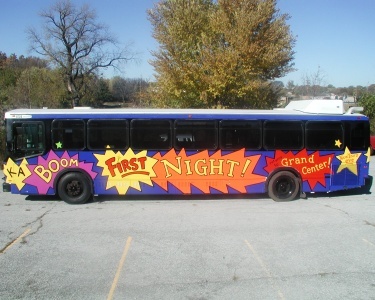 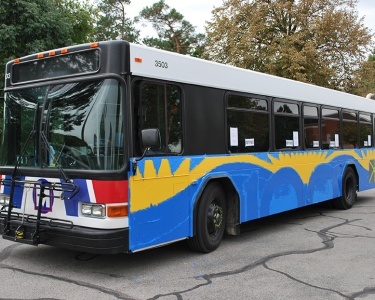 In 1996, AIT began sponsoring the ArtBus fleet. 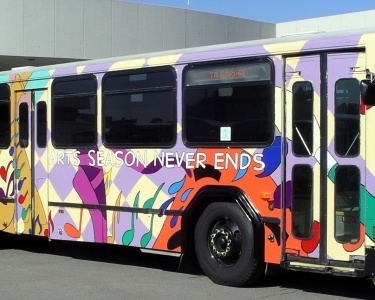 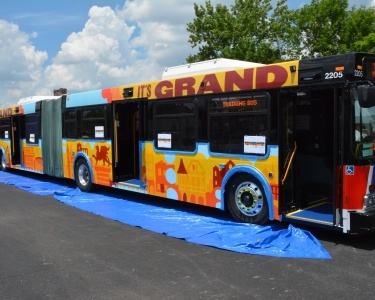 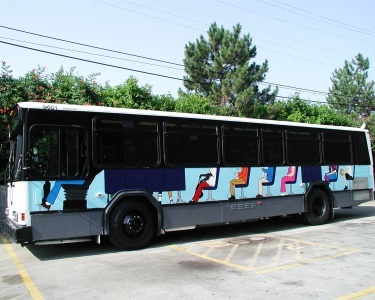 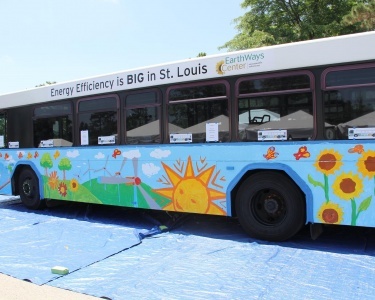 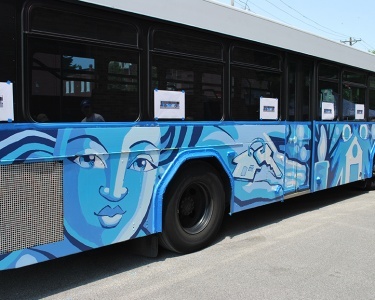 The program allows artists and members of surrounding communities to transform Metro buses from a blank canvas into a captivating painting on wheels. 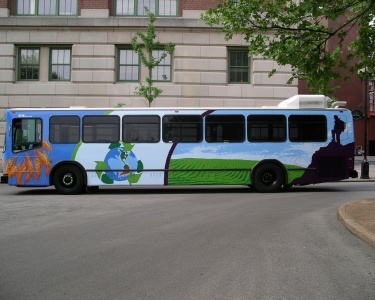 Each bus visually expresses a message that focuses on various causes, events or campaigns. 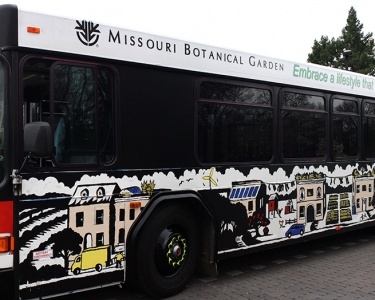 Additionally, the ArtBus program rallies around seasonal events, celebrations and much more happening in and around St. Louis. 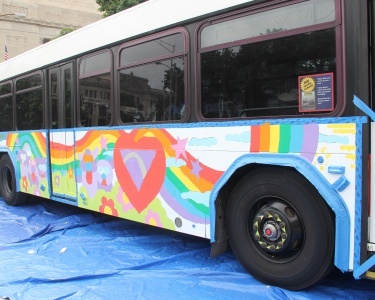 Although artists provide a creative vision, the process of families and students coming together to paint the buses allows them to collaborate and build a stronger sense of community. 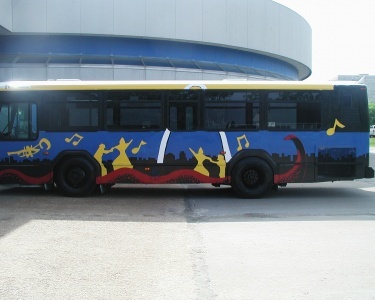 The fully functional buses are creative works of art that both passengers and passers-by have the opportunity to enjoy. 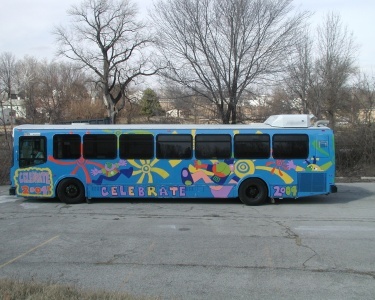 See the “Opportunities” section to learn more about “Call to Artist” or “ArtBus at your event” requests.